The card is a 5 x 5 card with an orange circle, a triangle piece of decorated paper, bright green flag with orange blings. lots to go and see at the blog! Another week is flying by and now its the end of April... oh my - where did it go???? Work has been busier and busier and that too seems to be flying by. 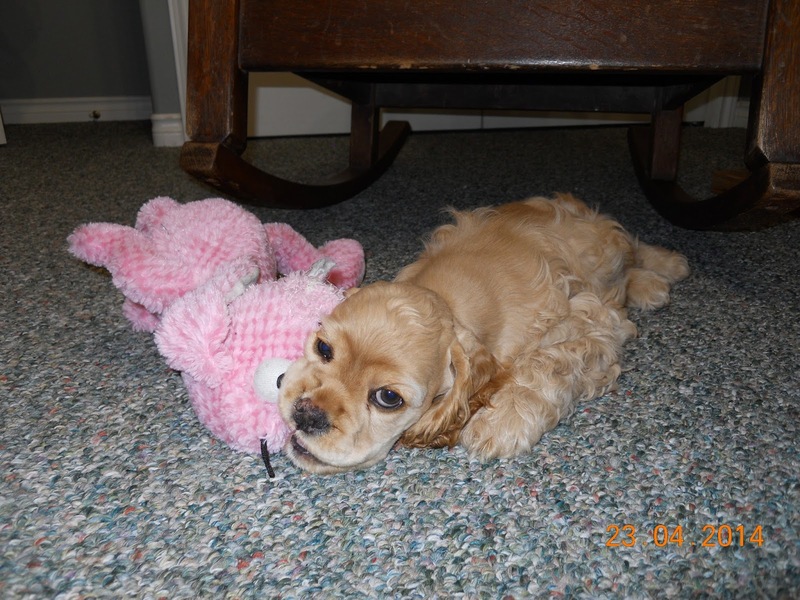 And here's a recent photo of Charli.... he enjoys playing with his Bunny stuffy toy. He has wrestling battles with Bunny and I think Boyd said the matches are even. Charli winning half and Bunny winning half. 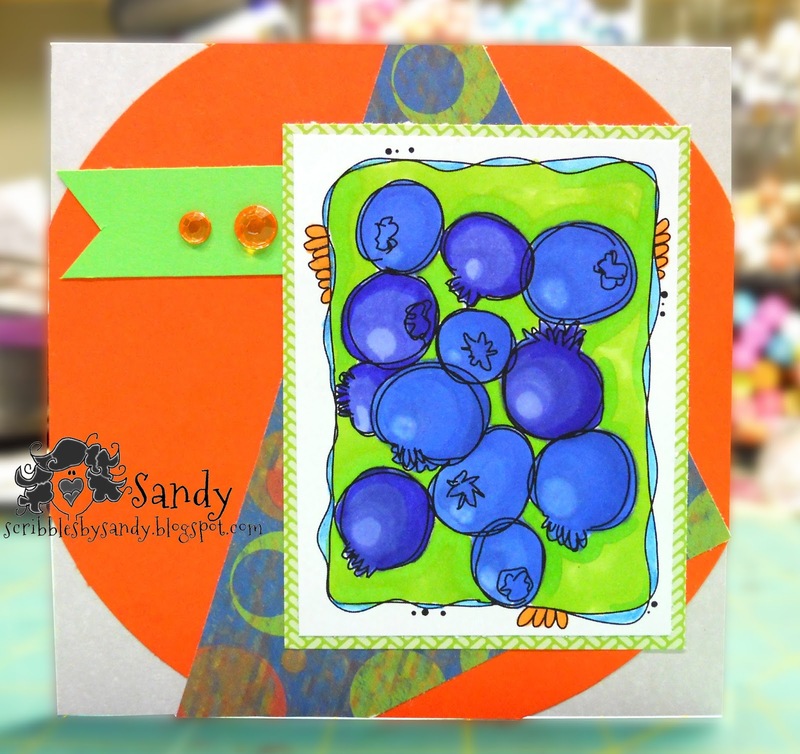 Really gorgeous card Sandy and thanks for sharing it with us at Make My Monday.